So, have you been missing the Modern Medley series? Still another one to go after this one…. 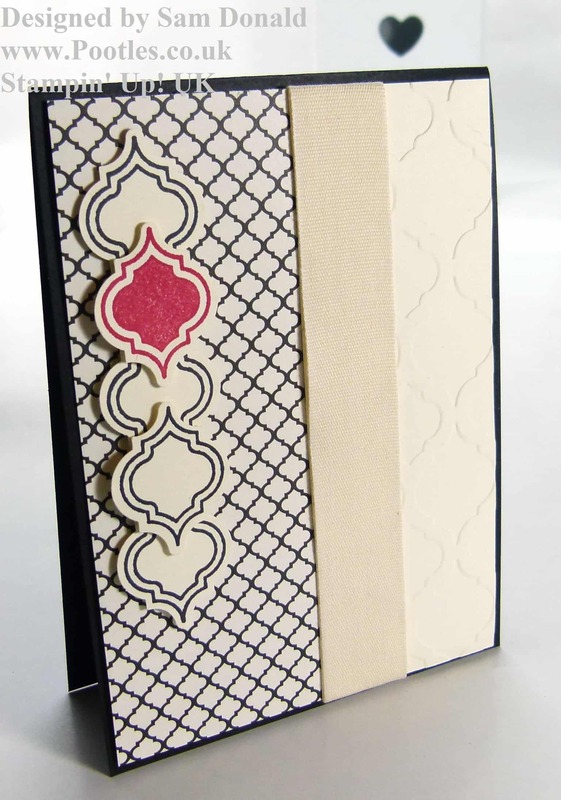 And once again, I stripped this back to the simple elegance of the beautiful paper and brought in matching elements. 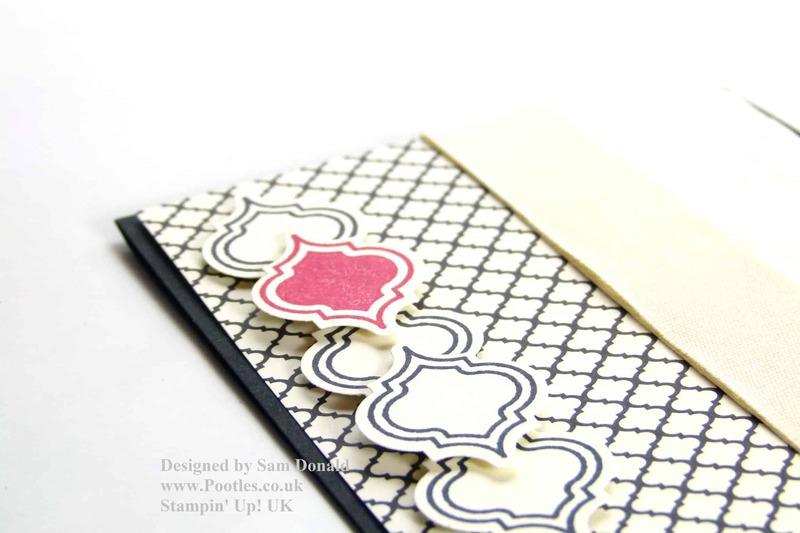 That fabulous paper only needed the Baroque Embossing Folder to share the design across, and then 4 matching Basic Black Mosaic Madness stamps punched out with the Mosaic Punch and then one, just one, in Strawberry Slush. So simple, and yet it says enough! I have thoroughly enjoyed this series of cards, and have enjoyed reading all the comments you’ve left for me. I can’t wait to share the last one with you. Soon, I promise…!